World Refugee Day was established by the United Nations to honor the courage, strength and determination of women, men and children who are forced to flee their homes under threat of persecution, conflict and violence. Each year on June 20th the United Nations and countless civic groups around the world mark this cause. 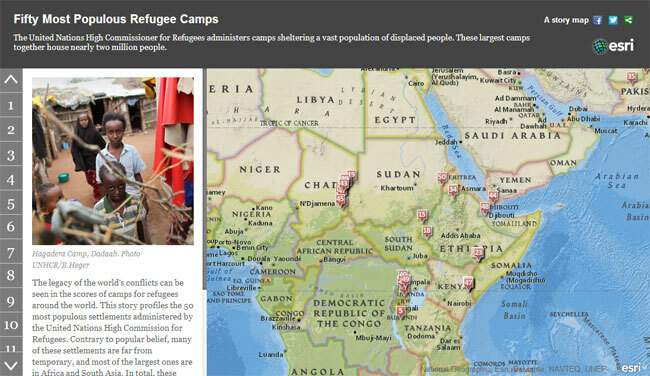 This latest Esri story map helps provide understanding and context through maps.